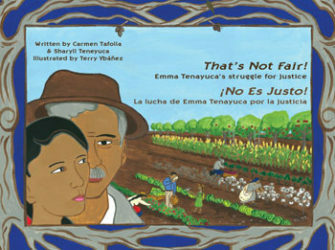 Children can be introduced to the story of labor organizer Emma Tenayuca with the bilingual children’s book That’s Not Fair!/¡No Es Justo! 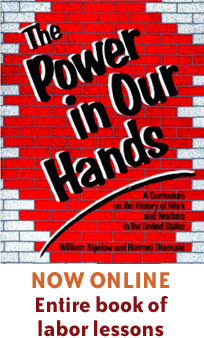 The picture book begins with her childhood in San Antonio, Texas and describes her role in the 1938 strike by 12,000 workers. 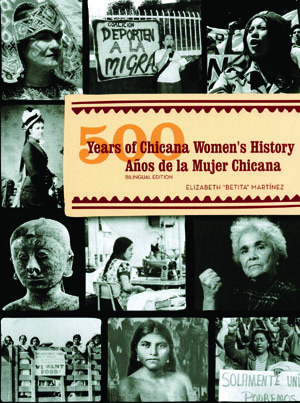 This is the first book published about this significant Latina civil rights leader. Written for readers age 6 and up, That’s Not Fair!/¡No Es Justo! was the April 2008 national Las Comadres Book Selection and was listed in Críticas Magazine’s Best Children’s Books of 2008. By Carmen Tafolla, Sharyll Tenayuca, Celina Marroquin. Illustrated by Terry Ybañez. ISBN: 9780916727338 | Published by Wings Press.